Reversible carpet Kilim Catania with beautiful, elaborate pattern. Both the textile line, which is being commercialised since 2008 with the brand name GAN, and the outdoor furniture collections, are signed by prestigious professional designers, such as Jean Marie Massaud, Patricia Urquiola, Sandra Figuerola, ododesign and others. 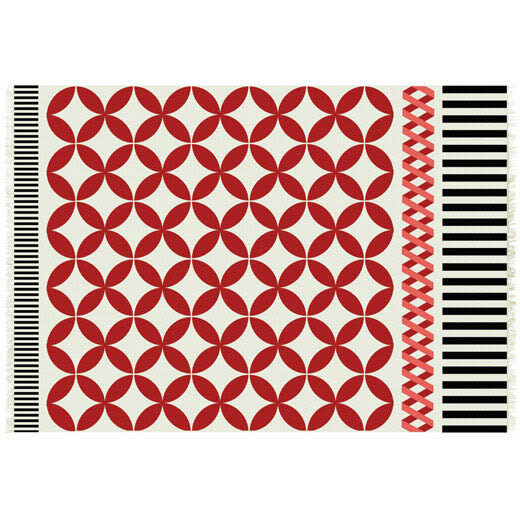 Under the label Gan are offered especially carpets in modern and fresh designs. For example the carpets Ringo, Grafito and Flower. The Gan Rugs are exclusively made ​​by hand - so each Gan rug is a unique piece. Do you have a question about "Kilim Catania"? How can we contact you?